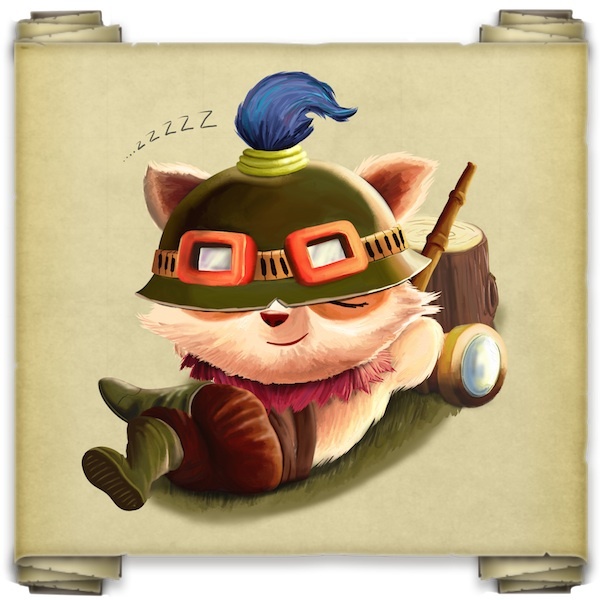 Here is an illustration of the character Teemo I was asked to do by Riot Games, they needed to show Teemo resting so they could use it as a holding page for the Teemo Scouts Europe website. The site offers creative challenges for members to submit drawings and pictures from all over Europe. I previously did some work for this site creating Icons of European landmarks.